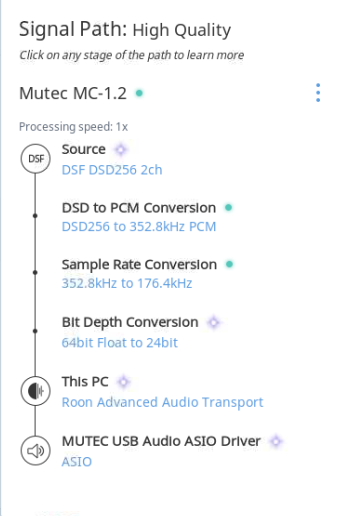 If DSD to PCM has to be done due to the DAC accepting PCM only from an AES / SPDIF / Toslink input, from a mathematical point of view, I would suggest converting it to 176.4kHz instead of 192kHz. DSD64 is 2822400 Hz, divided by 176400 Hz it gives an integer value 16. If divided by 192000 Hz it results in 14.7. 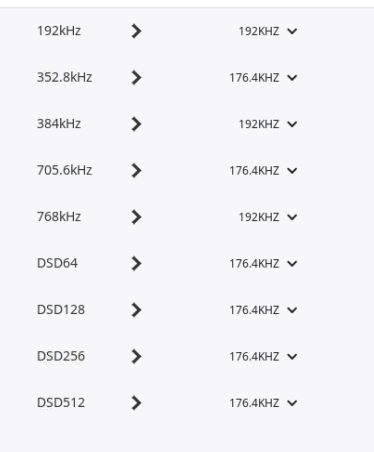 So if a DAC plays 176.4kHz and 192khz equally well, I think the former may be better. 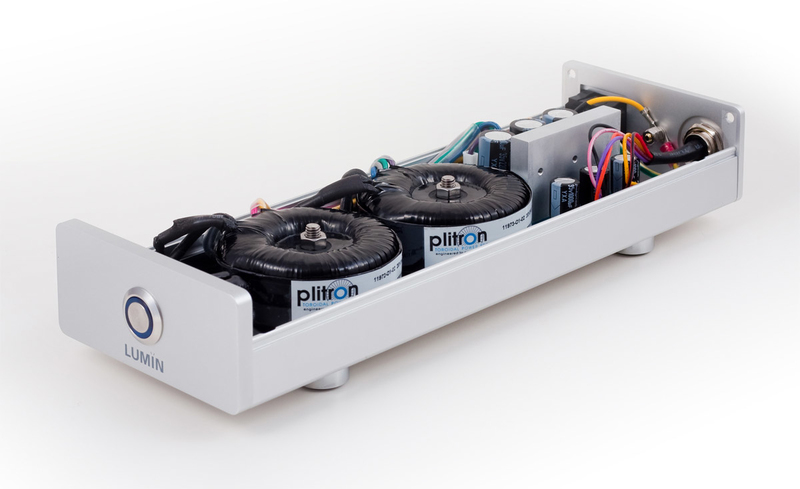 An exception would be a DAC (hypothetically) hardware only has a base clock which is a multiple of 48kHz, with a 44.1kHz derived from the 48kHz, then one will have to listen to find out which sounds better. 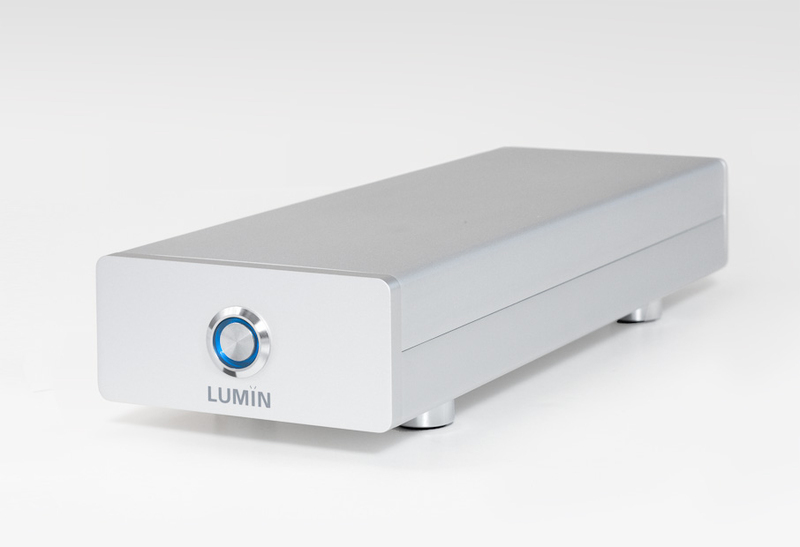 As for DSD512, the story is this: Linux based streamers such as Lumin U1 (MINI) and several other streamers popular in this forum require a Linux native DSD compatible USB DAC for DSD512 to be played. Recent XMOS based DAC and recent Esoteric models do. Those DAC using Amanero USB board running older stable firmware and SaviAudio USB chip do not support native DSD256 or native DSD512 with Linux. 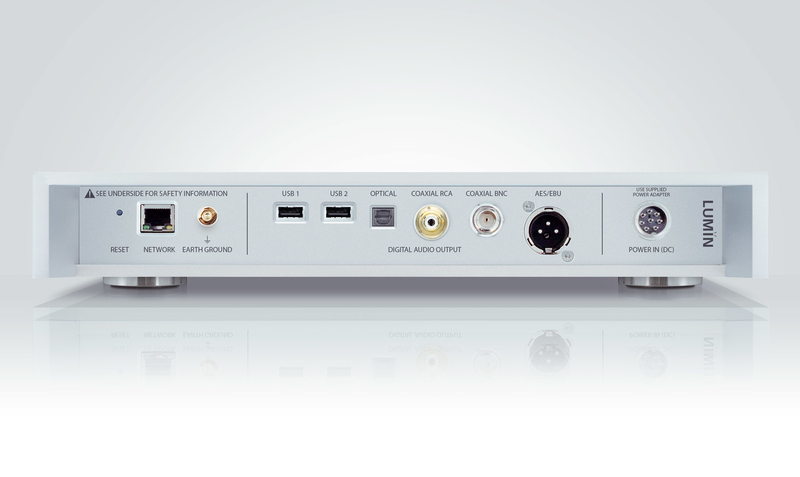 Users of such DAC are limited to using Windows USB (with a required driver, typically ASIO) as a source if they desire DSD512 playback. For DSD256, it has another possible condition of working even if a DAC is not Linux native DSD compatible - if it supports DoP256 it will still work with Lumin U1 (MINI) - however, not all DSD256 DAC support DoP256. Roon complicates the process a little bit which I should have elaborated on. DSD64 for example is converted to 352.8 PCM (8 x 44.1) internally, and then to 176.4 ( 4 x 44.1) PCM for the coax to the DAC. This is the custom table in Roon for other frequencies above 192. This is the chain for a Mutec connected locally to the machine ASIO driver playing a DSD256 file . The U1 is asleep for now, powered off. I'm using a windows PC connected to my T+A Dac8 and is working fine, so for now I'll stay that way. Thanks anyway. Thank you One and a half. This is a very valuable information and it changes the whole approach. I'll continued seaching for an streamer that can upsample to DSD512 through my T+A DAC8. Any suggestions? The problem is the T+A DAC itself, not the Renderer. T+A needs to change their USB receiver to be compatible with native DSD from Linux based Renderers. Most (if not all) Renderers use Linux based OSs for very good reasons. BTW, there is firmware for the Amanero USB receiver which is now stable with DSD 256, native DSD, from a Linux based renderer, i use it every day. 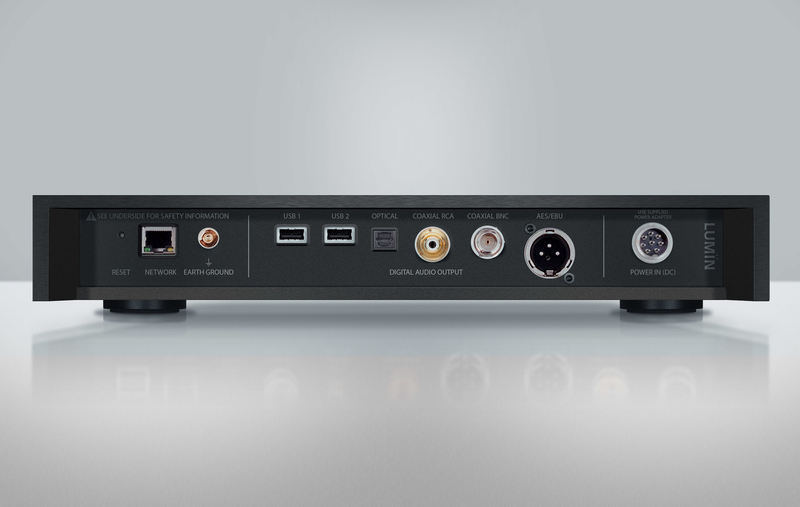 For DSD 512 via a Linux based Renderer, i would recommend XMOS based USB receivers, they are entirely capable-DAC manufacturers, are you listening? Based on the posts there, it seems that some people still have various issues, or not able to get DSD512 to play perfectly. I owned the Auralic Aires G2 until two weeks ago, and own and use two Lumin U1s in two different systems. There is an audible difference between the Auralic Aires G2 and the Lumin U1, and I prefer the sound of the Lumin and the Lumin app. I don’t care for the Auralic Lightning app. It is buggy when connecting to network drives and my Synology NAS, and I experienced numerous disconnects and other troubles of files not playing or stopping in the middle of playback. I sold the G2 and will stick with the Lumin U1s. I have never experienced a playback issue from my Synology NAS or when playing from the Lumin L1. Amusing how time flies, along with memories apparently. The reason the Lumin has a cable overhang at the rear is because the Linn Klimax DSM does. Pixel Magic started Lumin by reverse engineering the Linn product. the lumin app is not the only solution. 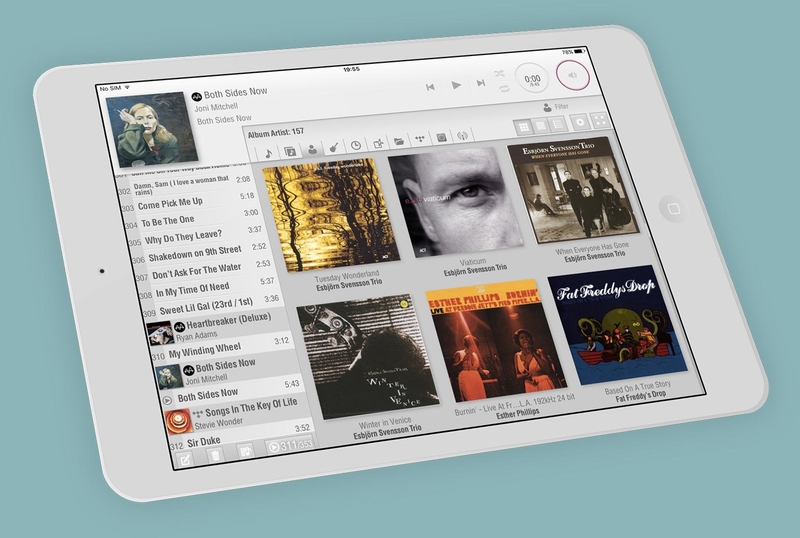 i use the linn kazoo app and find it much better. that said, the linn app will not adjust settings on the U1, just manage playback - and for this, i find it superior to the lumin app.